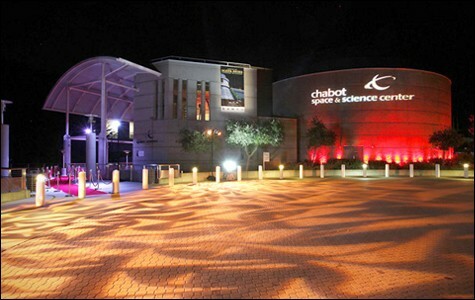 Chabot Space and Science Center. Consider, for a moment, the plight of science museums. They're indispensable local treasures, chock-full of activities and equipment otherwise unavailable to the public, and totally badass in terms of sheer, nerdy information per square inch. And yet, for the most part, relatively few people get to experience them, especially if they don't happen to be science geeks or grade-school teachers. It's tragic, especially in the case of Chabot Space and Science Center (10000 Skyline Blvd., Oakland), which boasts a digital planetarium, three industrial-grade telescopes, a seventy-foot IMAX-style theater, and an ever-changing stock of interactive exhibits — not to mention a rich history dating back to 1883. Tragic is what the folks at Chabot thought, too, and hence: NightSchool, a brand-new, eighteen-and-over series of nighttime events set to go down the third Friday of every month, including Friday, November 18. The idea, according to Chabot Space and Science Center spokesman Robert Ade, was to take advantage of all of the intellectual capital within both Chabot and the East Bay at large to facilitate something "a little more intellectually stimulating than any other event with drinks and music" — to give the public a chance to roam around the open museum without having to rush, to "see the place in a different light, almost as if you'd rented it for a party."